Aldi has appointed Citypress to its UK corporate PR account, replacing Weber Shandwick, following a competitive pitch. Weber Shandwick, which has held the corporate brief since 2008, remains Aldi’s retained consumer PR and social media agency. 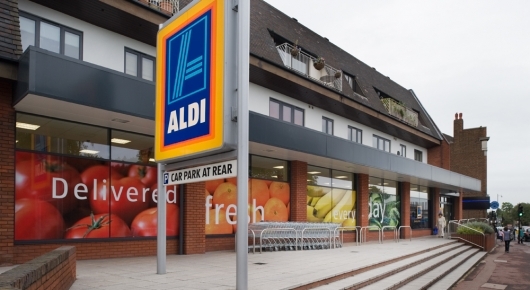 A spokesperson for the supermarket group said: "Aldi works with a number of PR agencies and regularly reviews the services we receive from external organisations. Weber Shandwick remains a key part of our 2015 roster of agencies." It follows a strong period of UK trading for the German-owned company, as it continues to take business from more established mid-tier rivals such as Tesco. Earlier this month Aldi reported sales growth in the UK of 15.7 per cent for the 12 weeks to the end of May against the same period last year. Aldi also recently won the top prize in the Which? Best Supermarket 2015 awards for the fourth time in seven years. Recent account wins for Citypress include Manchester Airport Group, British Land, and general insurance broker Swinton. The agency is based in Manchester with offices in London, Edinburgh, Birmingham and Bristol.